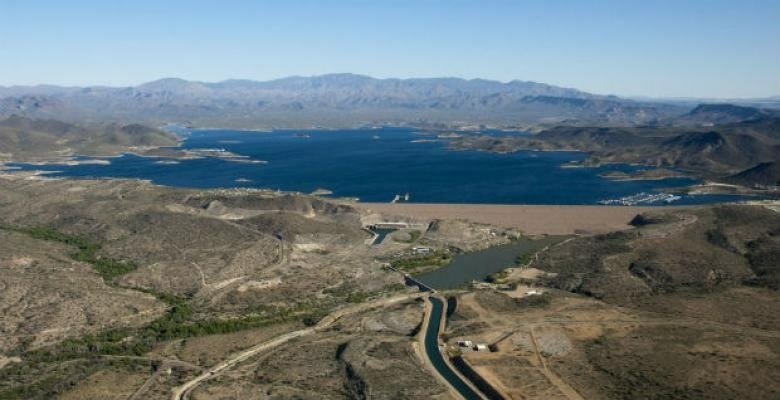 Columbia University Researchers find that U.S. reservoirs and lakes could produce 325 gigawatts of power in the first evaluation of evaporation as a renewable energy source. This equates to almost 70% of what the United States generates at present. Though still restricted to experiments in the lab, evaporation-harvested power could in principle be made on demand, day or night, overcoming the intermittency problems plaguing wind and solar. The calculations of the Researchers are outlined in the Nature Communications journal, published on September 26th. We have the technology to harness energy from wind, water and the sun, but evaporation is just as powerful. We can now put a number on its potential. Evaporation is nature’s way of cycling water between air and land. Previously, Sahin has exposed how this basic process can be used to do work. The so-called Evaporation Engine, a machine developed in his lab controls humidity with a shutter that opens and closes, triggering bacterial spores to expand and contract. The spores’ contractions are transferred to a generator that produces electricity. The present research was designed to test how much power this process could theoretically generate. One advantage of evaporation is that it can be produced only when required. Wind and solar power, by contrast, need batteries to supply power when the wind is not blowing and the sun is not shining. Besides being expensive, batteries require toxic materials to manufacture. Evaporation comes with a natural battery. You can make it your main source of power and draw on solar and wind when they’re available. In addition, evaporation technology can save water. In the study, Researchers calculate approximately that, half of the water naturally lost from reservoirs and lakes through evaporation could be saved during the energy-harvesting process. In their model, that came to 25 trillion gallons annually, or about a fifth of the water Americans consume. States with sunnier weather and increasing populations can best capitalize on evaporation’s capacity to reduce water waste and produce power, in part, as evaporation packs more energy in dry and warm conditions, the Researchers say. Drought-prone California, Arizona and Nevada could benefit most. The Researchers simplified their model in a number of ways to test the potential of evaporation. They restricted their calculations to the United States, where weather station data can be easily accessed, and excluded major locations such as coastlines, rivers, farmland and the Great Lakes, to minimize errors associated with modeling more complicated interactions. They also made the assumption that technology to harvest energy from evaporation efficiently is completely developed. Klaus Lackner, a Physicist at Arizona State University although not a part of the study, expressed support for the team’s findings. Lackner is developing artificial trees that draw carbon dioxide from the air, in part, by harnessing the power of evaporation. Evaporation has the potential to do a lot of work,” he said. “It’s nice to see that drying and wetting cycles can also be used to collect mechanical energy. The Researchers are working to enhance the energy efficiency of their spore-studded materials and look forward to ultimately test their concept on a reservoir, lake, or even a greenhouse, where the technology could be employed to make power and save water at the same time. Other Authors of the study include Pierre Gentine, a Hydrologist at Columbia Engineering and Columbia’s Earth Institute; and Xi Chen, a Former Columbia Postdoctoral Researcher now at City College of New York. The U.S. Department of Energy, David and Lucile Packard Foundation, National Science Foundation and Wyss Institute for Biologically Inspired Engineering funded this research.